Ladies and gentlemen – Meine Damen und Herren. It is my great pleasure to be here today and bring with me greetings from the citizens of Tel Aviv-Yafo. This congress is a very moving demonstration of support for Israel. Danke! Tel Aviv, the first Hebrew city, was founded 102 years ago. Since its foundation, it created a true impact both on the history of the country, and on the history of the Jewish people. In the early days of Zionism, the most important ideal was for Jews to work the land. During the first 20 years of the Zionist movement, most national efforts were devoted to agriculture and to setting up farming communities. But Tel Aviv's founders understood that the only way to sustain a society of farmers, was to develop strong urban communities. And, indeed, it was in Tel Avivthat these visionaries created new political and social institutions. It was in Tel Aviv where they revived the Hebrew language which had been a dead language for 2000 years. It was in Tel Aviv where they formed democratic patterns of Jewish communal life, in a region with no democratic heritage. Tel Aviv was also the most important cultural center, and the most important political center. These last two things – culture and politics – came together beautifully in May 1948, when David Ben Gurion performed the most important political act of our nation, in one of our nation's most important artistic institutions: he declared independence in the Tel Aviv Museum of Art. Tel Aviv took its name from Theodore Herzl's visionary book – "Altneuland." In his book, Herzl wrote about a future Jewish state that he imagined as liberal, progressive, pluralistic, secular and equal. This is a very serious legacy to live up to, and I am proud to say, humbly, that in many cases Herzl's utopia is a reality in our city. Herzl pushed for the establishment of a Jewish state in order to save Europe's Jews from Anti-Semitism – but even a great visionary like Herzl could not predict the Holocaust. After the Nazis rose to power, tens of thousands of Jews fled Germany, as they fled other parts of Europe. Many of these German Jews started a new life in Tel Aviv. Ironically, the tragedy of these refugees made a dramatic contribution to our city's development as a center of commerce and industry. Another important contribution that the German Jews brought with them was their high standard of professionalism. 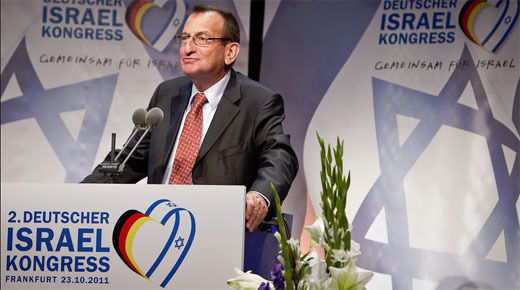 Even today, when people in Israel want to describe someone who pays attention to every single detail, they use a word that served as a nick-name for Jews from Germany – a YEKKE. German contribution to our society continues today through the special ties between our two countries. We are very grateful for Germany's role in promoting our economy and security. To this I must add today our special appreciation for Germany's role and efforts in securing the release and return of our soldier Gilad Shalit. Thank you! 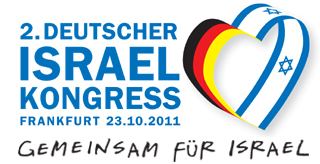 I am proud also to mention the very strong ties between Tel Aviv-Yafo and Frankfurt, the city hosting this Congress. 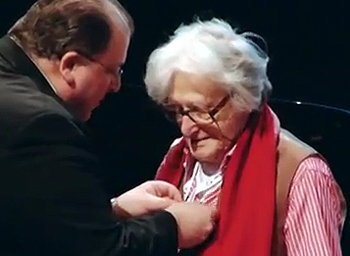 The mayor of this great city, miss Petra Roth, is much more than a colleague. I see her as a true personal friend. We also enjoy warm ties with Koln, our sister city, as well as other cities in Germany. Ladies and gentlemen, I am not originally from Tel Aviv. I was born on Kibbutz Hulda on the road between Tel Aviv and Jerusalem. My first visit to Tel Aviv was not by choice. I was three-and-a-half years old at the time, during the War of Independence. The Kibbutz was being attacked by Egyptian planes, so our parents put all the young children on trucks and sent us to "the diaspora" – to Tel Aviv. Shortly after the truck left the gates of the Kibbutz, a bomb fell on our kindergarten and destroyed it completely. 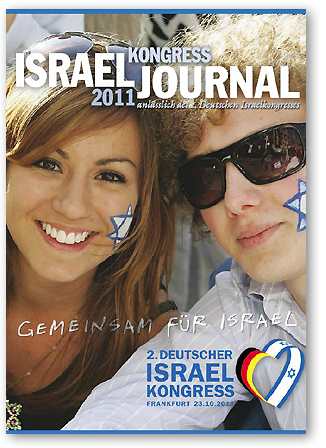 Another thing that happened during my childhood on the Kibbutz was my first encounter with German culture. At least, one aspect of German culture: the famous "Schlafstunde". On the Kibbutz, there were some German Jews. One of them, Hans, lived next door to my parents. Unlike other members of the kibbutz, Hans was very strict about taking his "Schlafstunde". He was a real YEKKE. Hans would rest in the afternoon, at the same time when I liked to play the violin. My parents asked me not to disturb Hans – and I tried to respect their request. One day, however, I did play the violin and I heard Hans get up and walk around his house. I realized that I had done something wrong and in the evening I went and apologized. "But it wasn't you who woke me up," Hans said smiling at me: "it was the horrible performance that I heard." Today, I am the one who is strict about taking a "Schlafstunde" in my office every afternoon, and I'm lucky there are no kids around who are playing the violin. I came back to Tel Aviv as an adult. After a long career as a combat pilot and commander, I retired as a Brigadier General in the Israeli Air Force. I decided to go in the footsteps of my parents, who were school teachers, and became the principle of the prestigious Herzlyia Gymnasium, the first Hebrew speaking high school in modern times. I very quickly fell in love with Tel Aviv – and it is a love story ever since. Ladies and gentlemen, the education I received from my parents, in the kibbutz, was that a human being is a human being is a human being, and it makes no difference what his background, origin, color or opinions are. Tel Aviv-Yafo is home to every type of human being you can imagine - Jews and Arabs, religious and secular, gay and straight, African refugees and foreign workers, the richest and the poorest. In our city, tolerance and pluralism are not slogans – but rather a fact of life. And this is one of the reasons it was important for me to develop Yafo, which is one of the most important cultural and political centers of Israeli Arabs. As soon as I took office as the Mayor, we began putting a lot of resources and effort in Yafo. Tel Aviv-Yafo is proud to be the center of Israel's successful business sector. But what many people do not know, is how much we invest in services to the weak and the needy in a way that serves the entire nation. So it is only natural that when the Israeli public started to protest social injustice – it began in Tel Aviv-Yafo. Speaking of the social protest and the economy, allow me a word on our economic policies. 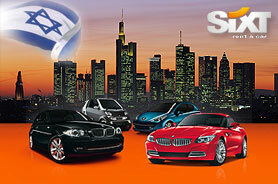 Israel takes pride in its financial stability, and in the fact that it has survived the recent global crisis. But a healthy economy cannot last long in an unhealthy society. Israel became a state where the gaps between the rich and the poor are among the largest in the western world. In addition to these gaps, there is hardship that has become part of the lives of many in Israel; not only of the poor - but also of those who used to be members of the middle class. This alarming situation is what created the protest movement and the desire to return to the European model of Social Democracy. Many Israelis are now demanding their rights for good and affordable housing, health services, education, and public transportation. In short – they demand a decent life. This protest, that began in the streets of Tel Aviv, relates to a larger question in Israel today: the question of our identity. Israel has not yet determined what kind of country it wants to be: a country of Nobel Prize winners, an enlightened state of science and culture – or a society that rejects the modern life required in the 21st century. Tel Aviv-Yafo plays a key role in this process. Ladies and gentlemen, in the past 10 years Tel Aviv-Yafo has undergone a real revolution. From a city that suffered from a shrinking population – it has become a place that attracts Israelis from every part of the country. The number of young people between the ages of 18 and 35 has doubled, and the number of kindergartens that we open increases every year. There is a saying, "Tel Aviv is not Israel". This is true, but I wish to add: Every Israeli is a Tel Avivian to some degree. Tel Aviv-Yafo is an asset that belongs to all of Israel. My friends, we spoke about the past and the present. I wish to end on a personal note and say a few words about the future. Our future. These days, the municipality of Tel Aviv-Yafo is leading a process to position Tel Aviv as global city. We wish to become a city of international importance. We wish to open ourselves to influence and ideas from the world, and become home to a large community of international business people, students and artists. Just like here, in Frankfurt. Israel is a world leader in the fields of technology and innovation, and we have a wonderful city to visit or do business in. I wish to invite you to be part of this global initiative. Our vision is that your university students spend a semester in our academic institutions; that your young innovators come to Tel Aviv to set up their startup company; that your artists spend time creating in our city. We will do the same with our young people. We invite you to come – not only because of our common history, and not just because of our special relationship, but because Tel Aviv-Yafo is a wonderful place to be.